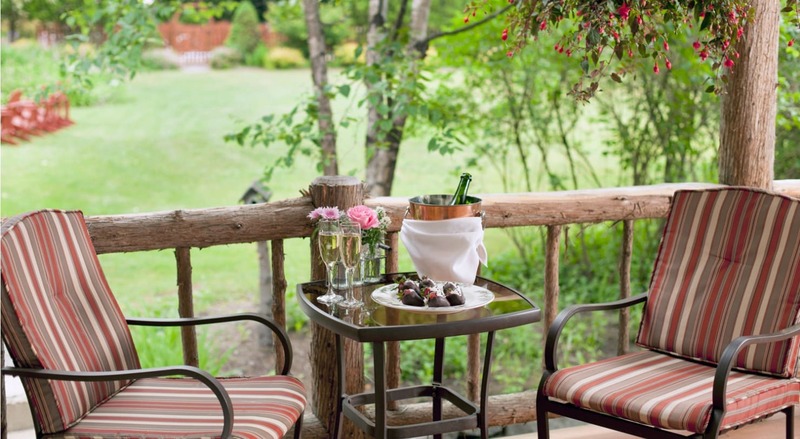 What could be more romantic than an Adirondack Wedding at the Friends Lake Inn? 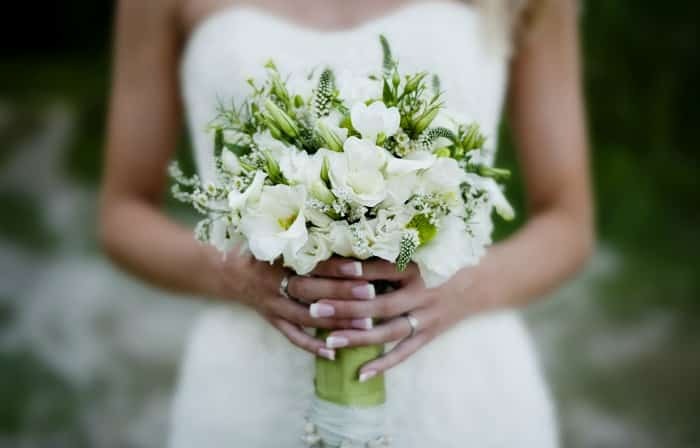 Whether you choose our beautiful pond as a backdrop to an elegant enclosed tent wedding, or the glowing rustic elegance of our Main Dining Room, exquisite food, luxurious Adirondack lodging, and exceptional service will be sure to enhance your special day. Our beautiful perennial gardens and brook-fed pond provide a stunning backdrop for your wedding ceremony. Ceremony Fee: $1,899. Ceremony must be completed by 4:00 pm. An intimate setting featuring a cozy gas burning fireplace in our historic Adirondack hotel. Perfect for winter weddings! 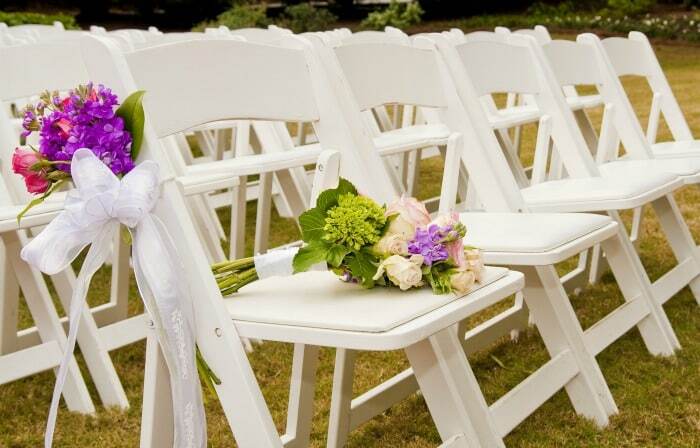 Accommodates up to 30 guests for a seated ceremony. Ceremony Fee: $500. Ceremony must be completed by 4:00 pm. Ceremony fee includes: 1 hour rehearsal, setup of white folding chairs for guests, and 2 hours of use for ceremony. Guests enter past a glass-enclosed portion of the cellar housing our 21,000 bottle wine collection to discover a private dining room. A truly unique setting for intimate events! Accommodates up to 14 seated guests. Full of windows with a beautiful lake view providing a bright, sunny space for intimate celebrations. Perfect for brunch receptions or bridal showers! Accommodates up to 26 seated guests. A simple yet elegant setting in the heart of the Inn with original tin ceiling, wood burning fireplace and burnished woodwork glowing with rustic elegance. Accommodates up to 85 seated guests. Reception Fee: $1,900, Saturday event requires rental of all guest rooms. The beauty of the Adirondacks surrounds you with a tented wedding in our perennial gardens. A fabulous backdrop for an unforgettable celebration. Accommodates up to 120 seated guests. Reception Fee: $3,500, requires rental of all guest rooms. Reception fee includes: Use of the Space for 4 Hours, Clean Up, Table Linens, Tables, Chairs, China Silverware & Glassware. Additional Rental Upgrades such as chair covers, dance floors, special order linen, heaters, etc. are available - we would be happy to provide the cost of such items in a custom proposal. Decorations are optional and would need to be provided by the bridal party. No outside catering allowed. These are a sample of menus and dining styles from previous events held at Friends Lake Inn. Every wedding is custom designed, featuring 4-diamond culinary expertise, staff, and atmosphere to create a very exclusive event. 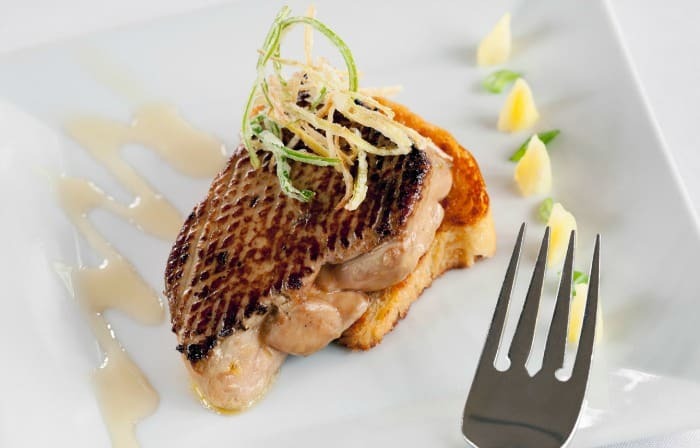 This formal style of dining will pamper you with all of the luxuries of dining Friends Lake Inn with exquisitely composed New American cuisine, professionally served by our seasoned staff. Download Sample Menu. $80 per person, plus 7% tax and 20% gratuity. A creative menu for a sophisticated yet casual party. An elaborate assortment of our favorite dishes in appetizer size portions. Served with Adirondack simplicity, these beautifully displayed hors d’oeuvres are passed by our wait staff and are a meal in themselves. Download Sample Menu. $75 per person, plus 7% tax and 20% gratuity. The setup is perfect for allowing larger groups to mix and mingle. An array of menu items are displayed at various station locations where guests can serve themselves at their leisure. Download Sample Menu. $65 per person, plus 7% tax and 20% gratuity. Here at the Friends Lake Inn we are passionate about wine, craft beer, and premium liquors. Our Sommelier will help you with the perfect selections for your event from our Wine Spectator award winning list. This all-inclusive destination wedding package takes all the stress out of planning a wedding. Our historic Adirondack hotel provides a unique and memorable setting for your celebration and offers an array of activities for you and your guest to enjoy during your stay, including hiking, kayaking, an outdoor pool, and more. 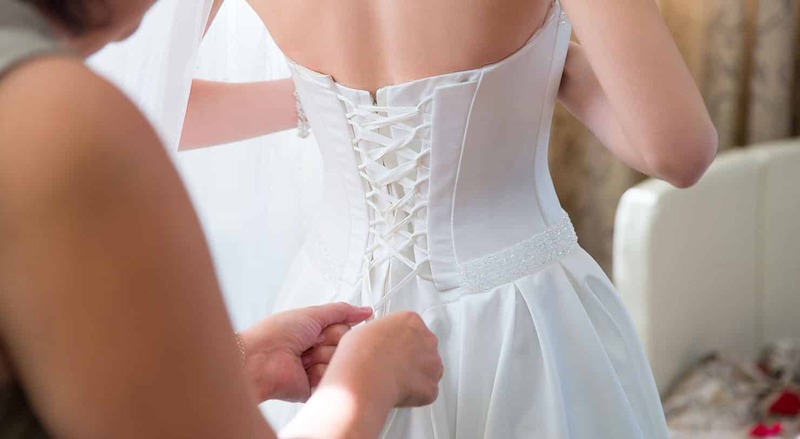 Every detail is handled so all you have to do is enjoy your big day! $5,899, for wedding couple and up to 22 attendees. Package includes 1 night accommodations for wedding couple. Guests are welcome to book additional rooms; two night minimum stay may be required. Taxes and Gratuities extra. Couple to provide valid New York State Marriage License. At Friends Lake Inn, we specialize in offering elegance, style, and personal service not readily found in today’s world. 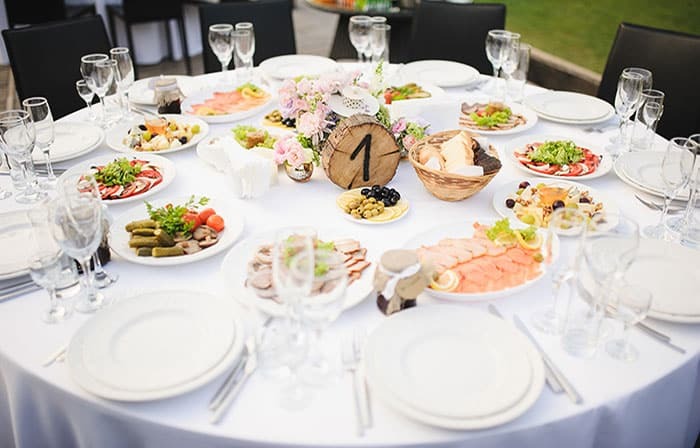 Our Adirondack wedding venue offers a variety of menus, themes, and styles of service to suit your personality and preferences. Our Wedding Coordinator and staff attend to every detail so you can relax and enjoy your wedding day with family and friends! Planning on an intimate celebration with just a few family and friends? 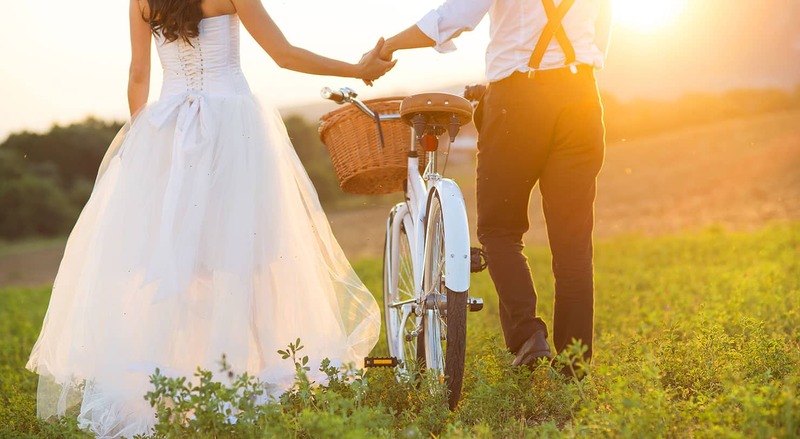 We offer a choice of romantic elopement packages, or we can help you created your own special event. We will make sure your elopement wedding is simple, magical, and memorable! 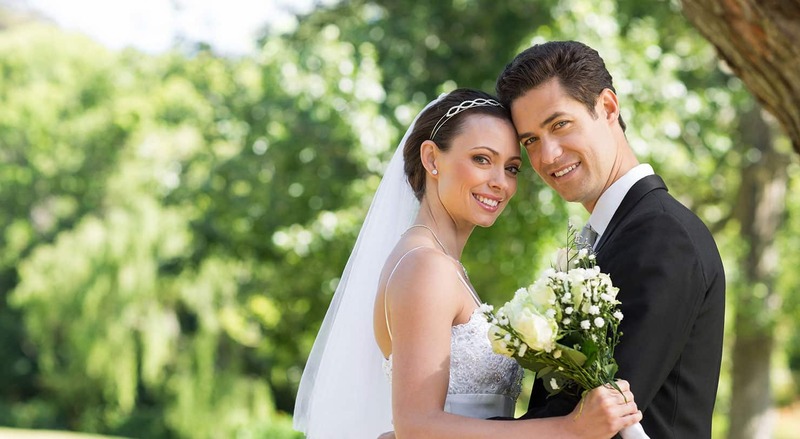 Celebrate the start of your new lives together in the majestic Adirondack Mountains. Perfect as a gift for the Bride and Groom. 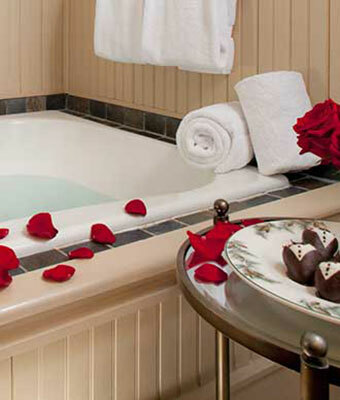 The Honeymoon Package includes 2 nights accommodations with a Jacuzzi tub, candlelit dinner each evening, bathrobes, chocolate covered strawberries, deluxe bath basket, and a bottle of house wine - perfect to relax after your wedding day and much more!